Four countries (the United Kingdom, Spain, the Netherlands and France) won the contest, the first time ever a tie had occurred. However, there was no rule at the time to cover such an eventuality, so all four countries were declared joint winners. France's win was their fourth, thus making it the first country to win the contest four times. The Netherlands' win was their third. Spain and the United Kingdom each won for the second time. And it was the first time that any country (Spain, in this case) had a winning ESC entry two years in a row. This is so far the only occasion Spain has hosted the contest. The venue selected to host the 1969 contest was the Teatro Real, an opera house located in Madrid. The theatre reopened in 1966 as a concert theatre and the main concert venue of the Spanish National Orchestra and the RTVE Symphony Orchestra. The final featured an onstage metal sculpture created by surrealist Spanish artist, Salvador Dalí. The surrealist Spanish artist Salvador Dalí was responsible for designing the publicity material for the 1969 contest as well as the metal sculpture which was used on stage. It was the first time that the contest resulted in a tie for first place, with four countries each gaining 18 votes. Since there was at the time no rule to cover such an eventuality, all four countries were declared joint winners. This caused an unfortunate problem concerning the medals due to be distributed to the winners as there were not enough to go round, so that only the singers received their medals on the night: the songwriters, to some disgruntlement, were not awarded theirs until after the date of the contest. Had the later tie-break rule been in place (the country receiving the highest score from any other country, as used in 1991), the Netherlands would have won, having received 6 points from France. 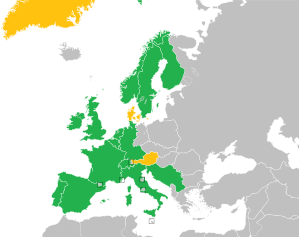 United Kingdom would then have been runner up, having received 5 points from Sweden. On the other hand, with the present tie-break rule been in place (i.e. the song receiving votes from the most countries, then the song receiving the most high votes in case of another tie), France would have been the overall winner, with Spain in 2nd place. Both countries received votes from 9 countries, but France received 4 points from 2 countries whereas Spain received 3 points as their highest vote. Austria was absent from the contest, officially because they could not find a suitable representative, but it was rumoured that they refused to participate in a contest staged in Franco-ruled Spain. Wales wanted to debut with Welsh language broadcaster BBC Cymru, and also made a national selection called Cân i Gymru, but in the end it was decided they would not participate in the competition – their participation was rejected because Wales is not a sovereign state. Only the BBC has the exclusive right to represent the United Kingdom. Each performance had a conductor who led the orchestra. These are listed below. Five artists returned in this year's contest. Louis Neefs for Belgium who last represented the nation in 1967; Germany's Siw Malmkvist who was also the participant for Sweden in 1960. Romuald for Luxembourg who represented Monaco last time in 1964; Norway's Kirsti Sparboe who represented the Scandinavian nation twice before in 1965 and 1967; and finally Simone de Oliveira who also represented Portugal in 1965. The table below shows the order in which votes were cast during the 1969 contest along with the spokesperson who was responsible for announcing the votes for their respective country. Each national broadcaster also sent a commentator to the contest, in order to provide coverage of the contest in their own native language. Details of the commentators and the broadcasting stations they represented are also included in the table below. ^ a b c d e f "Eurovision Song Contest 1969". EBU. Retrieved 16 June 2012. ^ "Cultural Institutions: Teatro Real". esMADRID.com. Retrieved 3 September 2009. ^ "Eurovisionsfest ohne Österreich". Arbeiter-Zeitung. Vienna, Austria. 15 January 1969. ^ "Conductors 1969". 4Lyrics.com. Retrieved 16 June 2012. ^ "Eurovision Song Contest 1969". The Diggiloo Thrush. Retrieved 4 March 2012. ^ a b Roxburgh, Gordon (2012). Songs For Europe The United Kingdom at The Eurovision Song Contest Volume One: The 1950s and 1960s. UK: Telos. p. 483. ISBN 978-1-84583-065-6. ^ "Eurovision Song Contest, Grand Final: 1969". BBC. 29 March 1969. Retrieved 10 August 2012. ^ "Eurovision 1969". Songs4europe.com. 29 March 1969. Retrieved 10 August 2012. ^ Tchernia, Pierre et al. (29 March 1969). 14ème Concours Eurovision de la Chanson 1969 [14th Eurovision Song Contest 1969] (Television production). Spain: TVE, ORTF (commentary). ^ Christian Masson. "1969 – Madrid". Songcontest.free.fr. Retrieved 10 August 2012. 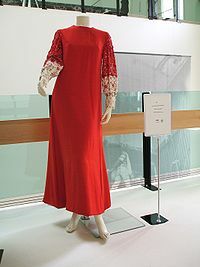 Wikimedia Commons has media related to Eurovision Song Contest 1969.